My husband and I are going out of town tonight, so I thought I’d post my weight a day early. Whee! I earned this loss. I’ve upped my water intake, tracked my calories and stayed within budge more than not. For my efforts I get to join my mom in losing 3 pounds this week. 🙂 Yep, my mom and dad are working on getting healthier and we check in with each other weekly. It’s so good to see them working together on this as well. The other day I was so proud of my kids. We’ve had some discussions in recent months about their need for exercise too. They have physical education class at school and they all play sports, but none of that lasts for the entire year. So, I told my girls they need to have a plan to stay active after basketball season ends — 30 mins a day after school at least 3-4 days a week. And my husband told my son he needs to do some exercise on the days he doesn’t have soccer practice — also 30 minutes. My husband helped my son find an activity that he would like, and I offered for my girls to do any of my DVDs and maybe take them to the park to play basketball when my son has soccer practice. Well, they are doing it. The other day the girls asked me if they could do one of my Jillian Michaels DVDs and they did it together. My son has also been taking the time to do his Nike+ Xbox Kinnect game three days a week. It’s such an awesome feeling to know that my kids are willing to put some thought and time into their health, because I really do think (not to be prideful, but..) I do think it’s in part because of what they’ve seen me accomplish. And you know, maybe that’s not it at all, but I’m so glad to know that when they are doing this I’m not sitting in the other room sad because I’m overweight and feeling helpless to do anything about it. I never felt bad for not being able to play sports with my kids when they were little. I was contented to watch them and be grateful they had their father’s active genes. But now I’m glad to know that I too have my time to workout and when they tell me how sore they are the next day I can relate and encourage them that it will all pay off. 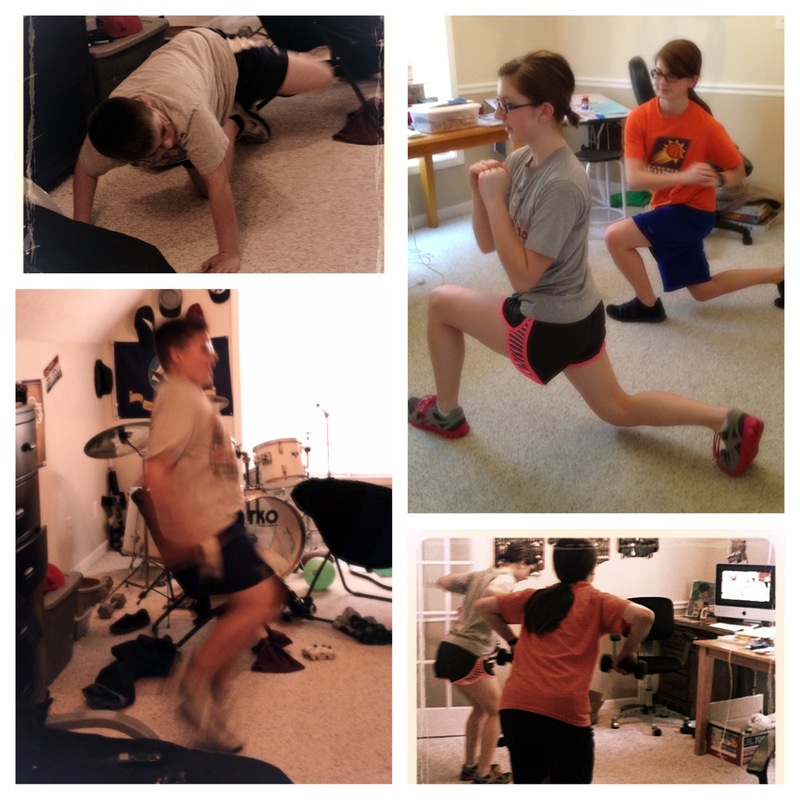 This is one more benefit of losing weight and getting healthier — watching my children follow the example. Hip! Hip! Hooray! Have a good day folks and I will check back in with you later. Awesome Leah! on the weight loss and for being such a great role model for your family.